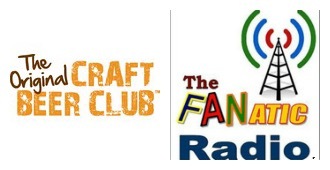 Fanatic Radio, the Millennial's Show, is tapping into a new partnership with The Original Craft Beer Club, raising a glass and saying cheers to our beloved fanbase. "Nothing unifies sports fans together like ice cold beer," co-host Mike Gardner said. "We are thrilled to be affiliated with the Craft Beer Club and are looking forward to a strong, successful partnership to connect our diverse fans with craft beer from across the country. As a sports fan myself, this is a game changer for sure." The Original Craft Beer Club is a beer of the month club which allows members to discover exceptional craft brews from around the country and delivers them each month directly to them or their gift recipient. Every selection is produced by small-production, independent brewers who use only traditional brewing ingredients and time-honored brewing methods. In addition to traditional bottled beer, three times per year we also embrace the hundreds of small craft brewers around the country who offer their hand-crafted beer in cans. It's the newest way to enjoy craft beers. 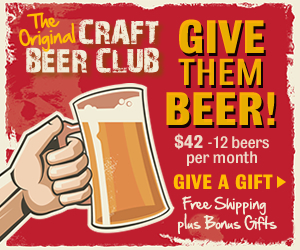 • 12 world-class craft beers from 2 different breweries featuring: 12oz. beers, 4 different styles (2 styles from each brewery), 3 beers each -- cans featured 3x per year. • The shipment also comes with a monthly newsletter, which has the story behind the brewery, the beer, what's in it, where it originated, recipes to try and beer trivia. • We offer door-to-door delivery with options of monthly, every-other month, or quarterly shipments, plus, each shipment always has FREE shipping! (This excludes HI & AK). • There are also up to 3 free Bonus Gifts you can receive, including a 1 year subscription to Beer Connoisseur E-Magazine, bottle opener and coaster collection. An extra $25 off is given to orders of 12 months or more. Fanatic Radio, the Millennial's Show, airing weekly on BlogTalkRadio. Hosted by Mike Gardner and Ben Florance, the show breaks down not only the trendy topics in the sports, but the world of politics and whatever else we're upset about. Simply giving the people what they want, continuing to revolutionize the podcast genre. Check out the podcast on iTunes or go to BFlo360.com and BlogTalkRadio.com/fanaticradio to listen to great archived episodes. Get your weekly dose of sports, culture and laughs only on Fanatic Radio.